Only store toxic materials necessary for use in the plant - meaning those used for cleaning, pest control, equipment maintenance, lab testing procedures and plant operations. Disposal of these containers must be formally documented. Provide proper training to workers on how to use sanitising agents. Sanitise and clean portable equipment such as fans and ladders before use. 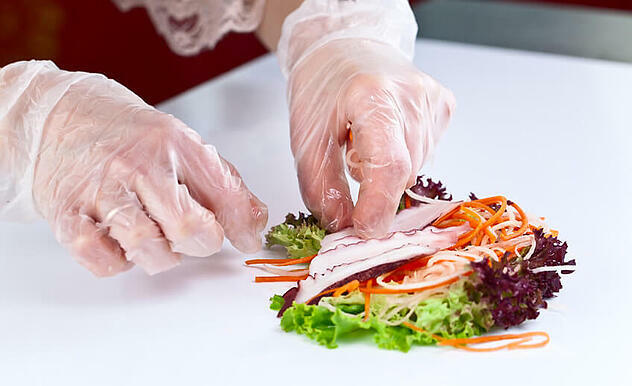 Regularly clean and sanitise food contact surfaces with food grade chemicals so that food is not contaminated. Do not be afraid to ask for advice from the experts on which chemicals you should be using. After all, it is better to be safe than sorry! Include complete cleaning and sanitising cycles in wet cleaning. Avoid partial wet cleaning without sanitising, because sanitising is required to inactivate microorganisms after cleaning. Follow dry cleaning using vacuum cleaners, brooms, and brushes, with a wet cleaning as appropriate (for example, in buffer or vestibule areas). Remove product accumulation (on walls, ceilings, conveyor belts, lids, walls of batch/mixing tanks, and at the bottom of bucket elevators) with routine housekeeping, especially for products in environments of high humidity. Keep the air dry, including air entering the area and used to dry product. Continuously dry compressed air if it's being used, as moisture may be trapped in it. Consider installing a high speed freezer door, where the 'warm side' of the freezer doorway is humidity and temperature controlled. In an facility where you have a wet / humid / temperature controlled area, consider an air-lock zone which permit the passage of people and objects (i.e. forklifts / pallet trolleys) between a pressure zone and its surroundings while minimizing the change of pressure in the vessel and loss of air from it. The lock consists of a small chamber with two airtight doors in series which do not open simultaneously. An airlock may also be used for passage between environments of different gases rather than different pressures, to minimize or prevent the gases from mixing. There are also specific procedures that apply to your employees to consider. Your building and facilities play a significant role in sanitary operations. A sufficient water supply (with a sanitary temperature and quality) for processing, cleaning, and employees. A plumbing system that supplies your food operation with water, and removes sewage and liquid waste. There should be no cross-connections between discharge waste/sewage water, and sanitary water. You should prevent backflow into sanitary water systems. Toilet facilities which are sanitary and equipped with hand washing reminders. Hand washing stations should be conveniently located. A process for disposing of trash and production waste that doesn't risk it becoming a source of contamination or pests. Food contact surfaces and utensils which are corrosion resistant, non-toxic, cleanable, and capable of withstanding the production environment. Protection where there's potential of indirect contamination of food contact surfaces. 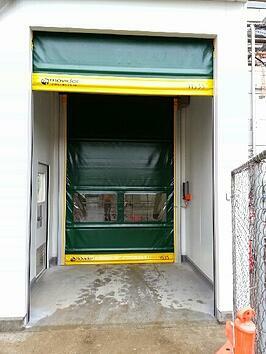 For example, by using a cover over a conveyor moving open containers. Humidity recorders and non-glass calibrated thermometers/recording devices for freezers and refrigerated rooms. Safeguards to prevent contamination from compressed air and other gases. If these are introduced to foods or product contact surfaces, they can be a source of contamination with water, oil, and microorganisms. 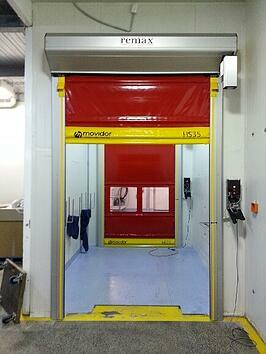 Investing in durable doorways will help to prevent contamination in your food processing plant. 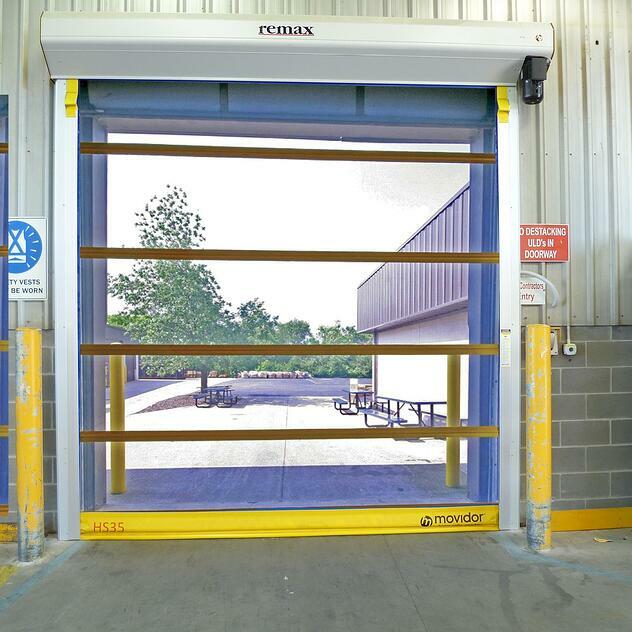 Doorways that seal against dust intrusion, stop cross-contamination between product zones, reduce condensation and prevent air infiltration into your coolroom or freezer include Air Curtains, BugStop Rapid Doors, stripdoors, PVC swingdoors, thermal doors, and rapid doors. To read more about preventing contamination in food and beverage processing, download the complete guide: A Guide to Contamination Prevention in Food - below.